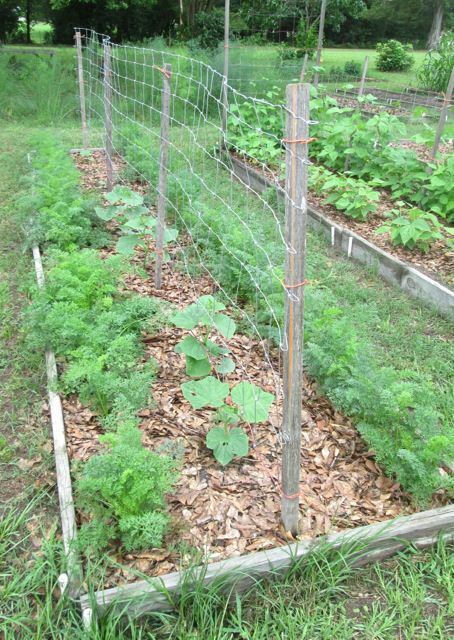 On April 26 I planted a row of 'Homemade Pickles' cukes (9 hills) down the middle of a raised bed that had early March planted carrots down each side. By May 29 I had four plants thriving and of the five resowings there were two seedlings destroyed by Lester the Cat and three re-sowings trying to make it. and found what I believe to be RKN on the roots. What intrigues me is that the thriving plants from the original planting aren't affected so far. They might well be as time goes on but it raises a thought. Perhaps if plants can get a good foothold or reach a certain size before higher air temps and thus higher soil temps trigger high RKN activity, maybe some of the crop can be salvaged. If so, perhaps it would be advantageous to get an early as possible start to plants situated in a RKN prone bed via Wall o' Waters (or the equivalent) or a plastic bed tunnel and push the envelope even more with transplants instead of direct seeding. But then I wouldn't want protection to artificially get RKNs active by raising soil temps too early so maybe just setting out transplants would create a jump. Protect at night when necessary. Just some late night thoughts. I have two other cuke varieties situated in other beds doing fine so no danger to the annual cuke relish making (first batch tomorrow.. or rather, later today). LOL! You could try starting in small starter containers and then planting out. The trick is to let them get root bound a bit so the roots dont get messed up planting out. How I do it is I use the container for a mold in the soil pull out the potted cucumber and set it in the soil hole I made. The plant never knows what happened. Good technique that's worked for me too. I use it mostly for plants that don't like their feet tickled. 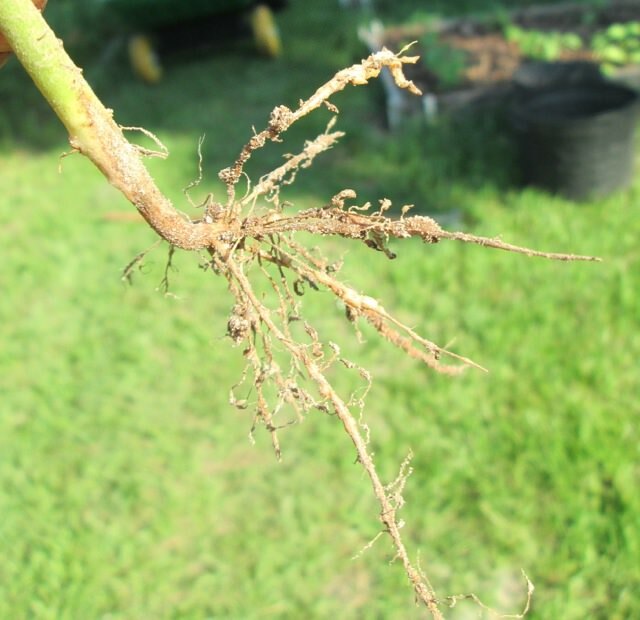 With tomatoes and peppers, if they get REALLY root-bound, I prefer to untangle some roots, even forcefully cut some, so the plant develops newer ones for stronger growth. That's a great technique! I will try that with a couple fall plants but for sure use it to get a real early jump next spring. Thanks, Worth! As odd as it seems I get a lot of ideas from the good folks in the UK but yet I live in Texas for that early jump. 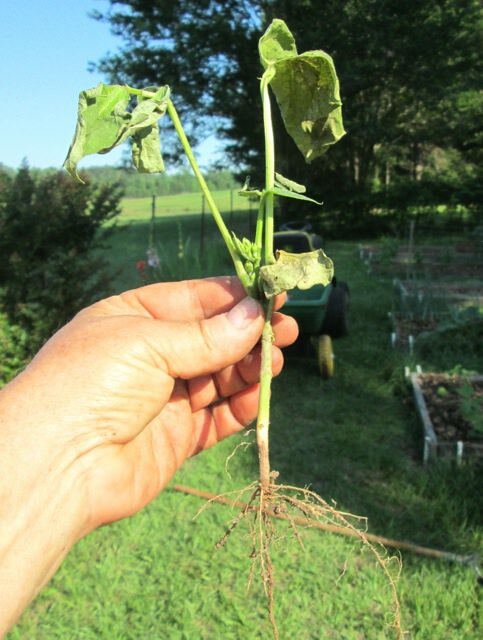 Nematodes hit my cucumbers almost every year to one degree or another. I have found a few things that help and the most important one is to start the plants indoors and get them out as soon as the nights get into the 50s. If you put them out when the nights are too cool they will just get stunted and never really recover if the cool nights persist too long. I kept trying to get an earlier and earlier start til one year I got them out in the garden too soon and they just sat there for a month. I set out some new ones about a month later and they thrived but the ones set out way too early never did really produce like they should and they never looked as good as the ones set out a month later. It is also good to work a lot of organic mater into the soil before planting and to mulch them really heavily. This keeps the soil moist and allows the plants to grow steadily and fast. I also like to give them a weekly dose of a fairly high nitrogen liquid fertilizer like Urban Farms Vegetable formula or Miracle Grow. This way I get quick growth and fast early production just in case the nematodes move in when it gets hot. These techniques really help with okra and squash also. I usually set out a few cucumber plants in August or very early September where the garden has a bit of shade. The trick is to get them through that first week after setting them out. They really don't do well in the heat of very late summer but if you can keep them alive til it starts to cool down a bit they can be fairly productive. Water them often and keep them off the ground if possible. I put a four inch thick layer of cypress mulch down a week before planting them to insure the ground is as cool as possible.